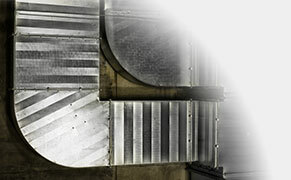 McLaughlin’s started in 1954 as a sheet metal fabrication shop. When customers started asking for air conditioning, we added that to our business. We installed General Electric systems; many are still in operation today. For over 60 years, we have been installing and repairing heating and air conditioning equipment with honesty and integrity, keeping our customer’s needs first. Our employees are all given training all year long to keep them up to date on all technology and changes to the Title 24 requirements. 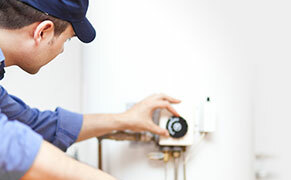 If your water heater give you warm water but functions inefficiently you may want to upgrade. Find out here. It's simple and easy—get air conditioning that is quiet and reliable and won't break the bank. ﻿Warm your home without burning through your wallet by contacting McLaughlin today. ﻿Empower yourself by learning how to measure and improve the quality of your home's air. ​It is never an easy task trying to figure out if you should repair or replace your home’s heating and cooling system, especially if you are in an emergency situation that needs attention quickly. When trying to figure out if you are in need of HVAC repair or a replacement, there are a few things that may want to keep in mind as you make your decision. Air conditioners and heat pumps can last an average of 10 to 12 years, while furnaces can last for about 15 to 20 years. It is important to know that if your HVAC system is within those lifespan ranges, that you should be expecting even more repairs as time goes on. 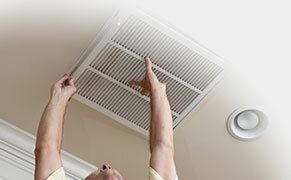 McLaughlin Air Conditioning Co. is an expert HVAC repair company and can handle any job. Another important factor to consider with HVAC systems is that the technology becomes outdated, just like cellphones or computers. While we are experts at repairing HVAC systems, you may also want to take into consideration a whole new system. Sometimes new technology is better than the old technology and can increase your energy efficiencies. At McLaughlin Air Conditioning Co., we offer the most competitive prices and have a team of highly trained repairmen to handle any kind of fixes that your HVAC system may be needing. We always work hard to repair any damages but also make sure our customers know that sometimes a full replacement is needed instead. Usually, when repairs exceed 50% of the cost of a new system, we suggest going that route. McLaughlin Air Conditioning Co. is in the business of repairing HVAC systems and installing new ones and guarantee our customers satisfaction with every job. We make it affordable for homeowners all over Stockton to have their HVAC systems repaired with confidence that the job will get done correctly the first time, every time. Our repair services are highly rated and the best in Stockton, CA. It is important for all homeowners to know that HVAC repairs can be a tricky process and should never be attempted by someone that does not have the proper knowledge and skills. McLaughlin Air Conditioning Co. has the best team of repairmen to take care of any job that needs our assistance. If you live in Stockton, CA or the surrounding areas and are in need of HVAC repair, we want to help you! Our team is prepared and ready to assist people with their HVAC systems and want you to continue living comfortably by servicing your system as quickly and as soon as possible. If you think or know that your HVAC system is in need of some repairs, contact us today at (209) 465-4800. We can provide you with a free instant quote and schedule an appointment to be on our way to making the necessary repairs to your HVAC system.